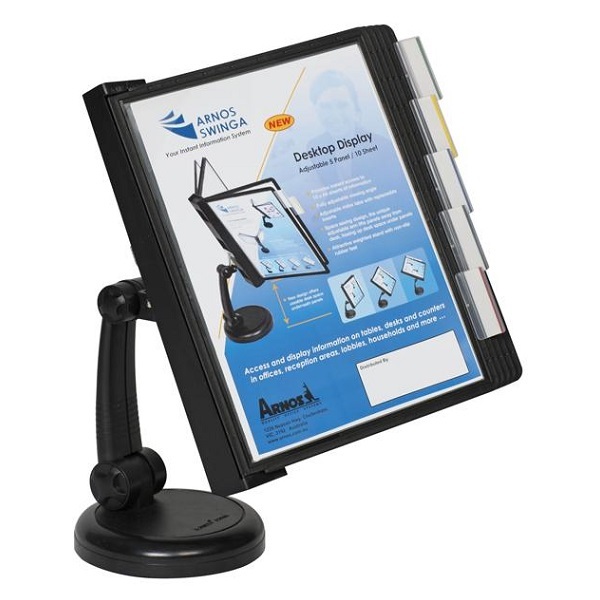 Attractive, space saving weighted stand with non-slip rubber feet. 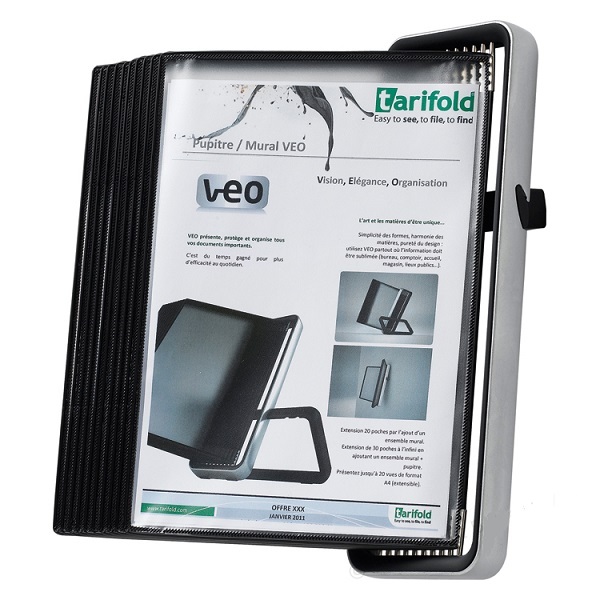 The Tarifold VEO displays, protects and organises all your important documents. 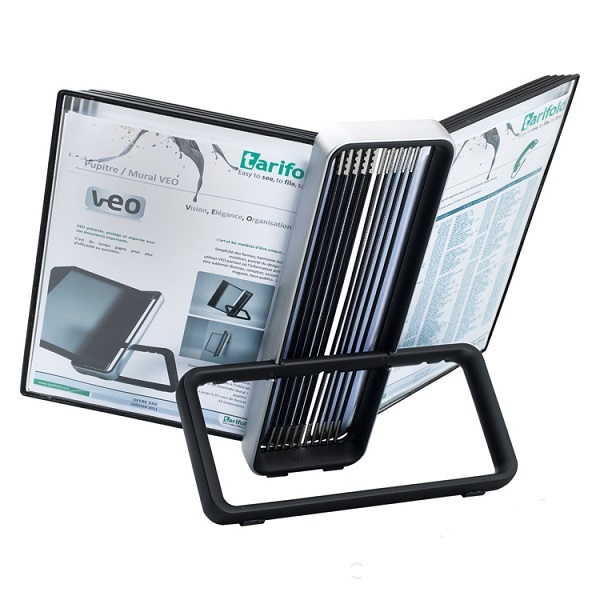 More time, less stress and better day-to-day efficiency, the VEO should be used everywhere paper information must be enhanced. 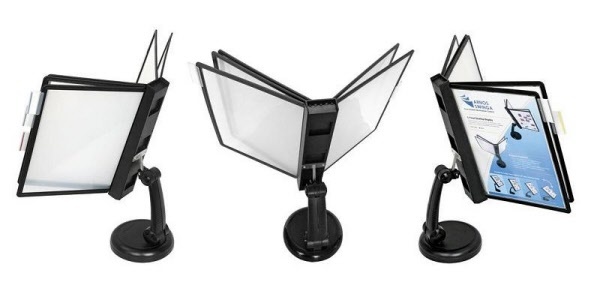 A combination of good looks, high-quality materials and incredibly simple set up - one click, no tools. 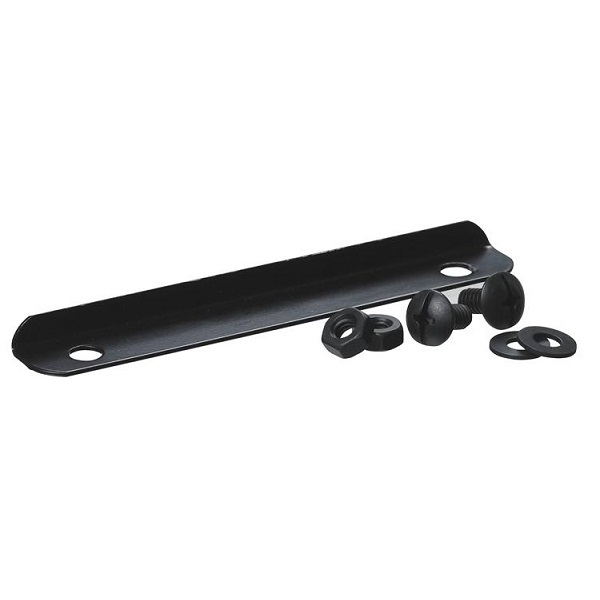 Aluminium alloy base in black soft grain finish with steel pivots. Excellent stability. 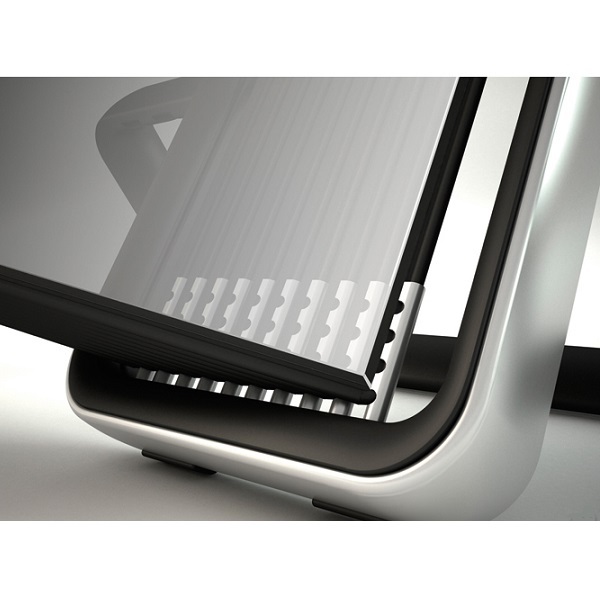 Complete with 10 Polypropylene pivoting pockets. 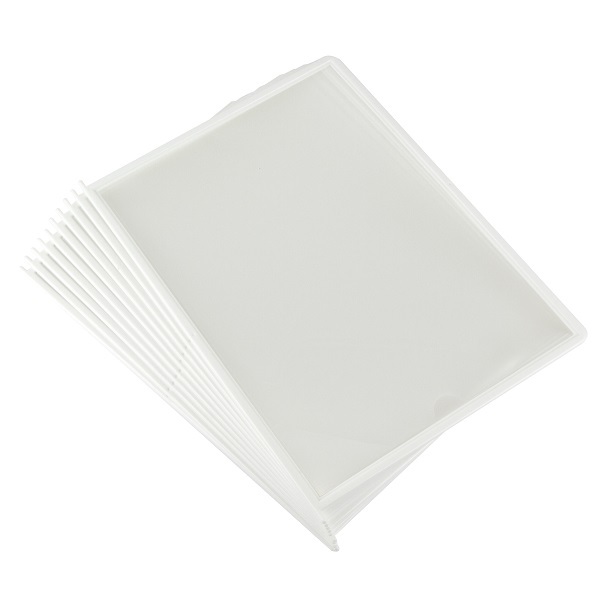 Packaging converts into reusable storage box. 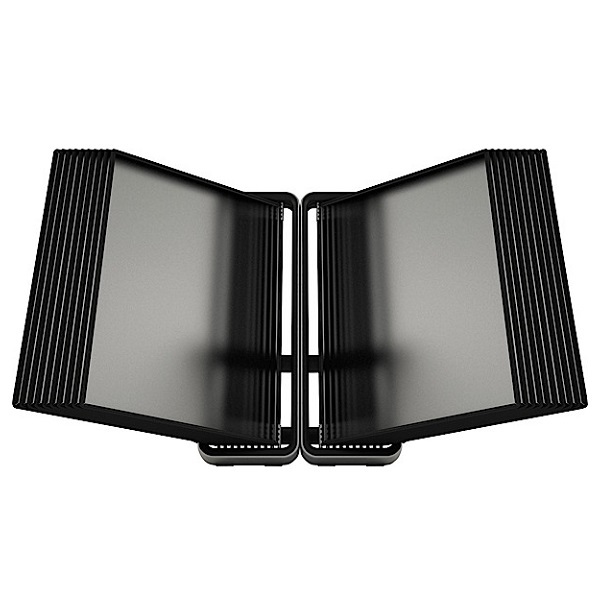 A combination of good looks, high-quality materials and incredibly simple set up. 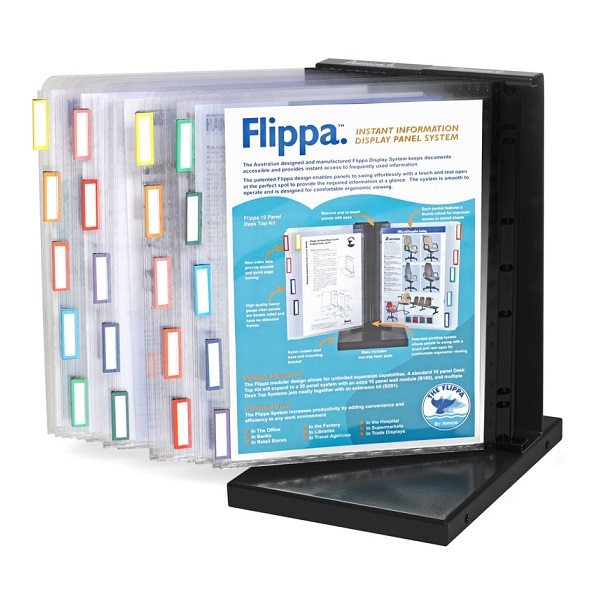 The Flippa Display System keeps documents accessible and provides instant, effortless access to frequently used information. 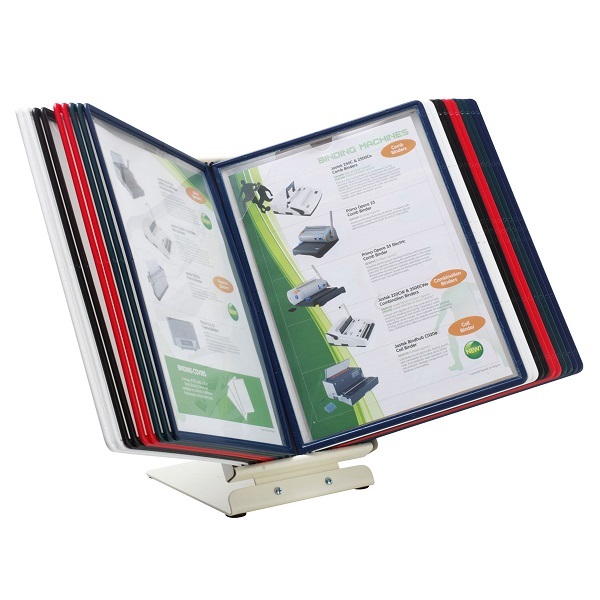 Flippa Desktop displays include top opening clear A4 size panels, colour coding index labels and black metal desk base and bracket. Choose between the 10 Panel (B179) or 20 Panel (B178) kits. 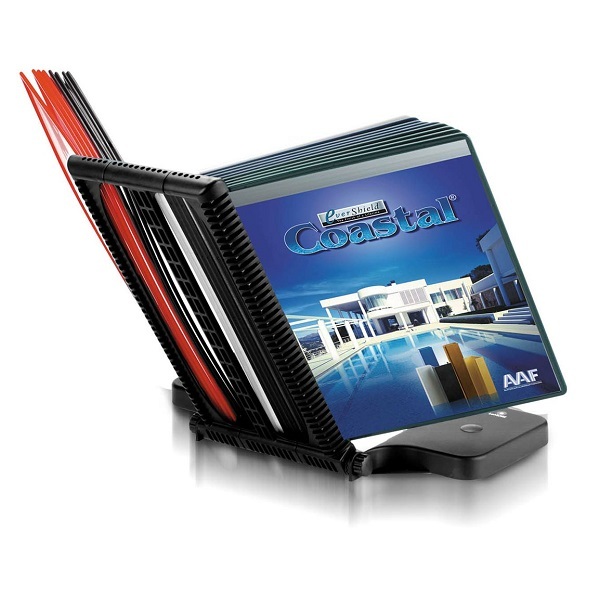 The quick and easy way to store, protect and retrieve information from brochures, product specification sheets and any other printed information that needs to be accessed on a regular basis. Easy to assemble. 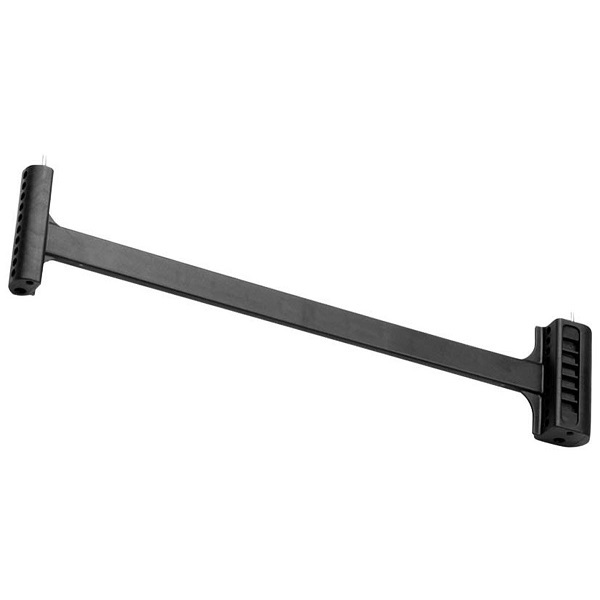 Durable ABS construction with heavy steel base for stability. 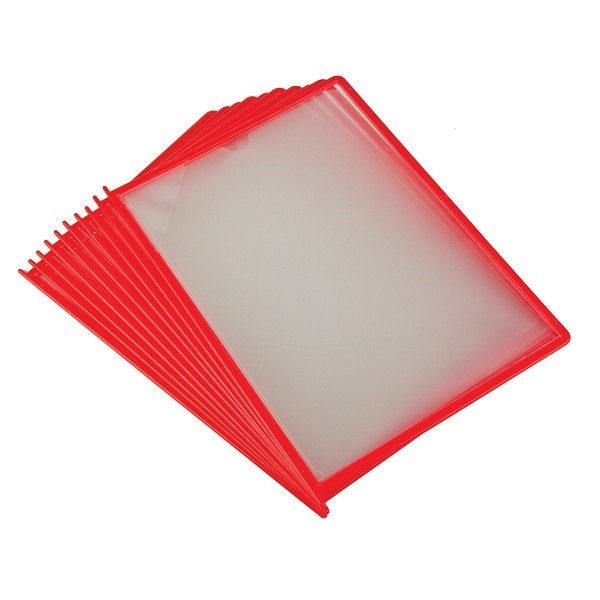 Available as a standard 10 or 20 pocket rack. 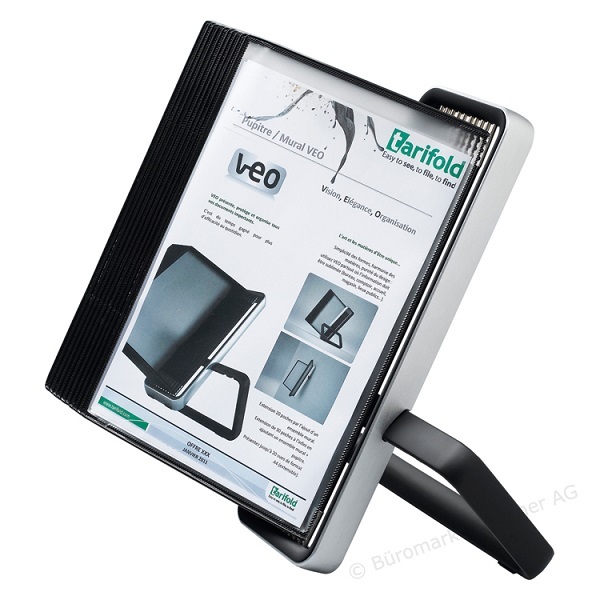 Heavy duty steel construction with heavy steel base for stability with three adjustable viewing angles to suit user requirements..
Rotary carousel rack rotates 360° for easy access to information. 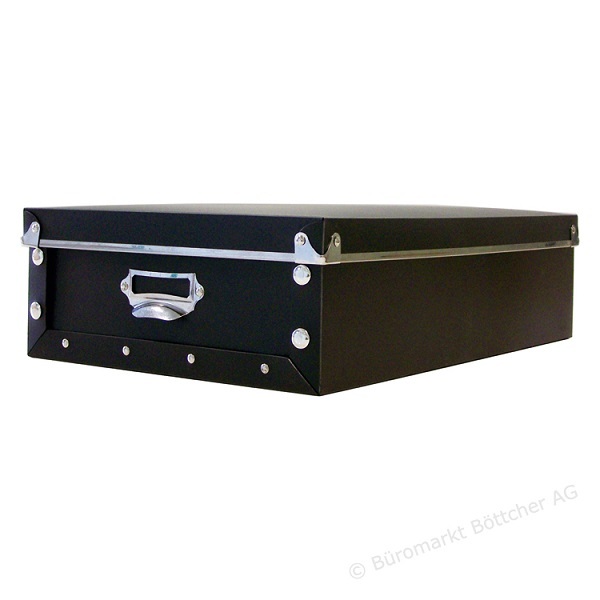 Durable ABS construction with heavy steel base for stability. 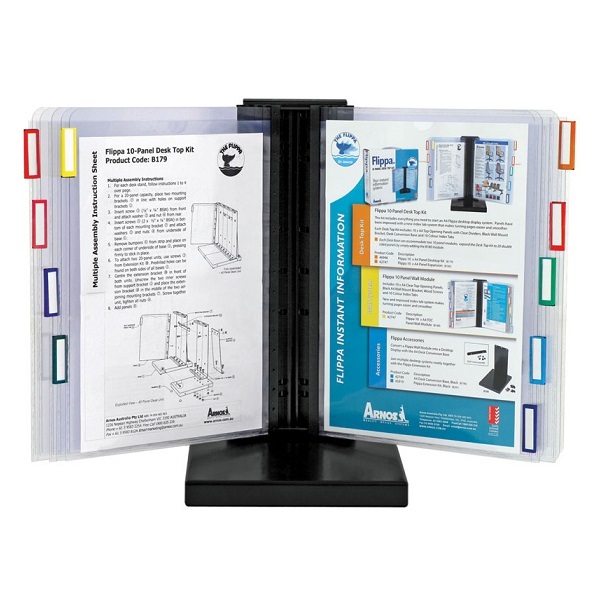 Additional or replacement pockets for Kwikview reference racks. 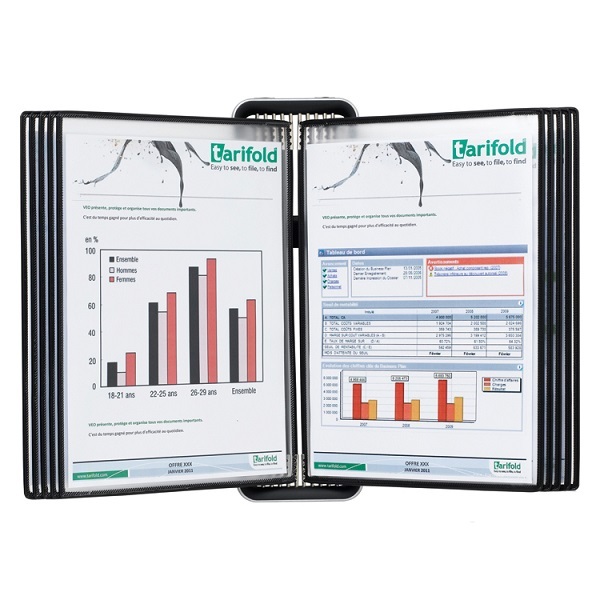 Information sheets are protected and can be replaced quickly and easily in the specially designed display pockets. 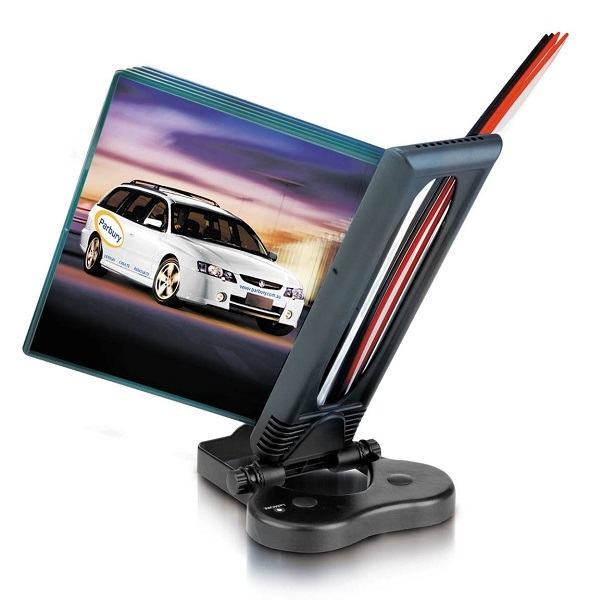 Displays can even be colour coded for quick access. 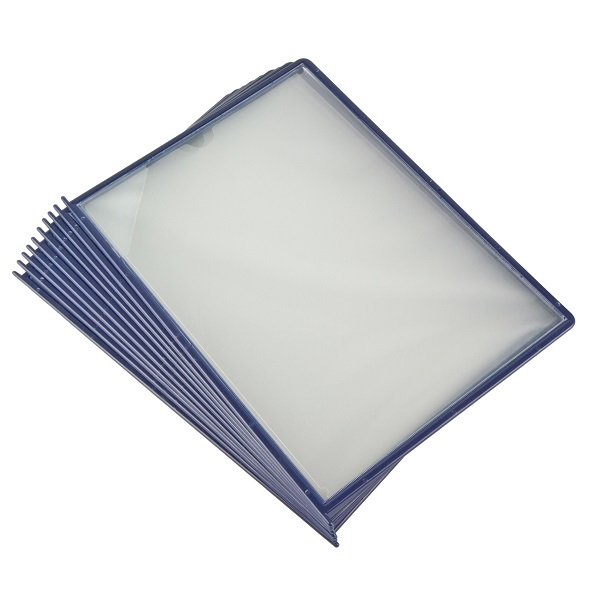 Pack of 10 Kwikview Pockets. 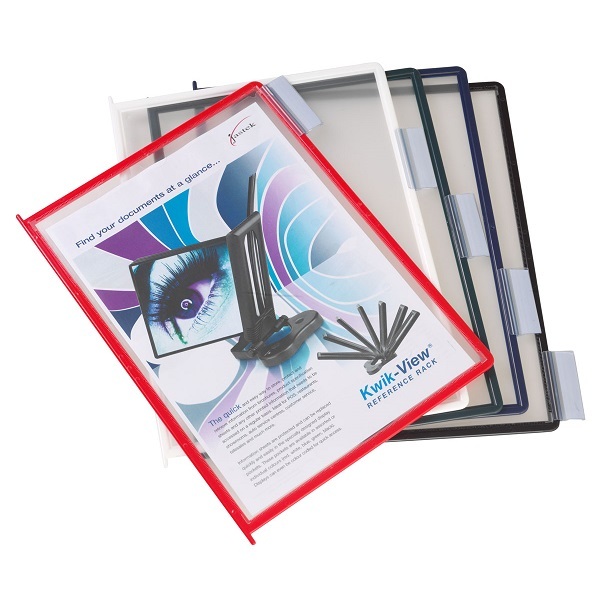 Tabs and inserts for Kwikview reference racks. 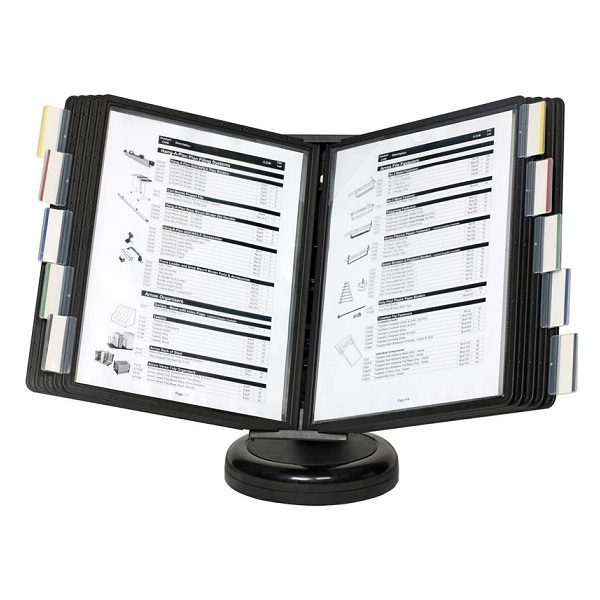 Clear tabs with white inserts help to index your information for quick access. 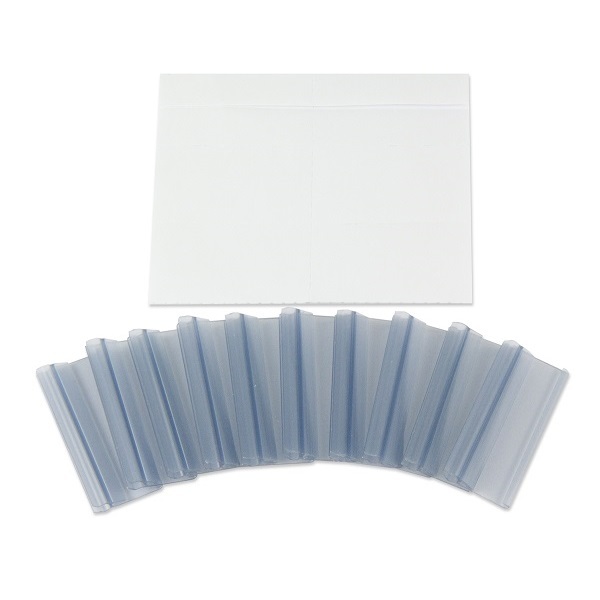 Pack of 10 tabs and 12 inserts.